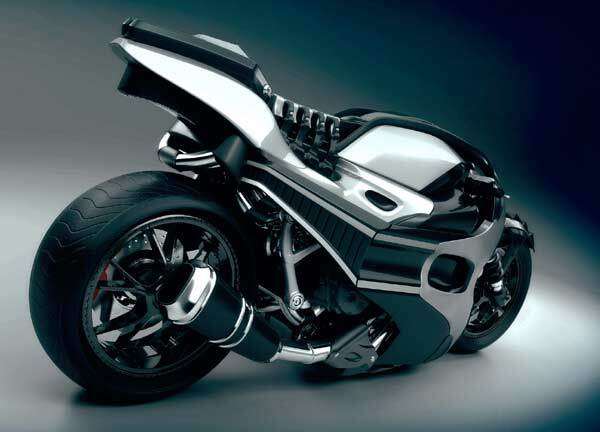 During this year’s auto show in Los Angeles, Divergent 3D made an impression of unleashing an advanced and bold super bike that goes by the name, the Dagger. This particular motorcycle is a show stopper. The parts it’s built from together with the platform responsible for producing it are the ones responsible for making it not only special but also one of a kind. This particular bike was finished a day before it went on showat the automotive show. The bike sits in a chassis that is 3D printed. Its printing process has the capacity to produce a carbon structure which Divergent 3D insist that it’s lighter by 50% compared to the normal motorcycle material. This makes the frame much more efficient while riding.It is also much stronger and its efficiency doesn’t compromise its rider’s safety. What is Dagger made of? The bike is not solely made from the 3D printed material. To a larger extent this bike’s most crucial component originatesfrom Kawasaki H2 sports bike and gearheads. Currently, the divergent is now focusing on implementing the 3D printing modern technology for the bikes structural components. 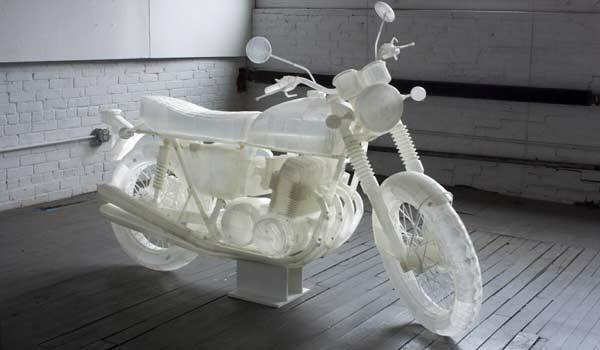 There may be other motorcycles that are 3D printed in the showroom. However, the dagger happens to be the first incursion into the two wheeledmarket of divergent 3D. This particular strategy shift may actually prove to be more crucial for the firm than the performance of the biker. Apparently it is as a result of the way the bikers have depicted the progress Divergent 3D has made in the manufacturing industry. Until this particular moment, the divergent 3D has been bold and more notable for its blade which is mostly a 3D printed car that was debuted a year ago. Since then this machinery has become hard to work with when it comes to its manufacturing task. The firm has managed to partner with great auto manufacturers, mostly notably the PSA Groupe, French conglomerate, in bringing the 3D printing technology to spearhead automotive technology. According to Kevin Czinger, the divergent 3D CEO, its partnership with the PSA group focus on developing and designing top notch standard vehicles that are solely built on this advanced technology in subsequent years. He went ahead to tell Mashable that the vehicles have depicted how diverse, creative and divergent an individual can get if they have the necessary tools and low cost expense in building great stuff. The dagger has made quite an impression and may just be the subsequent step in ensuring its growth and development. According to Kevin Czinger the CEO of divergent 3D, this aspect will be proof enough that the product has the capacity to perform way more than by ensuring the production of its chassis and parts from a super vehicle. This particular process may be used to almost anything. According to Czinger, this actually shows that this firm has the capacity to develop a car within a vast range, from trucks all the way to motorcycles. The platform has enabled this firm tocraft, manufacture the product and finally assemble the different types of vehicles, thus giving them an upper hand in this industry. With this kind of utility level, Kevin Czinger has high expectations that Divergent 3D is going to be more than a manufacturer that currently rules the road. In due time, he can actually see the company’s supply chain becoming much more than accessible to smaller firms, hence creating a highly diverse automotive industry come the near future. There is no doubt its future has no room for skepticism. Czinger says that the definitive vision will be the way to go as a result of the lowered costs. The firm will move from a small coverage of companies to a vast coverage of companies worldwide, with the help of this platform. There is certainly no doubt on the impact 3D printed super bike will have. For now it may be underestimated, but it will certainly take the globe by storm as it has put into use technologically advanced tools, creativity and many other desirable factors that no firm has done before. This will certainly bring growth for the firm comes the near future.